Easy to find with a huge range of fitted bedrooms and associated products on display. The Mill Street premises provides an impressive showcase for our bespoke bedroom furniture. The quality of products, good service, excellent reliability but more importantly our tight-knit, well-organised and knowledgeable staff has lead to our growing success. Our great attention to detail leaves nothing to chance and gives customers confidence that the bedroom of their dreams will be delivered on time and fitted to perfection. 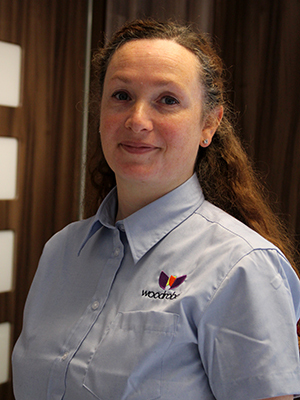 Since January the company has been steered by Les Wood as Office Manager. 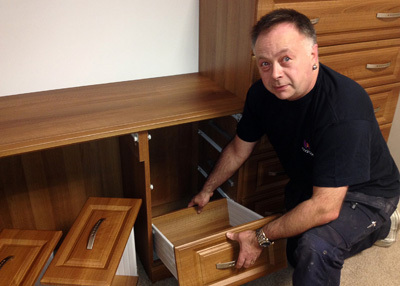 Les has many years of experience in the fitted furniture industry and Woodrobes has certainly benefitted from his knowledge. Les:Working with the team in the showroom has meant that we are able to give a very personalised service. We give answers to detailed technical questions virtually immediately while customers are still in store. Our sales staff are very knowledgeable. 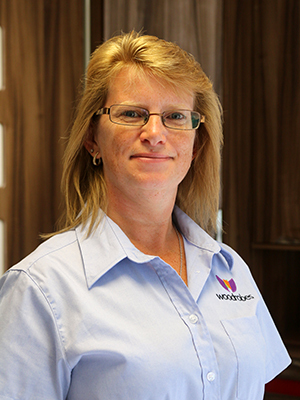 Sandra has years of experience and knows our range of products inside out. She has been joined by Jo and more recently Laura, all three work well as a team. 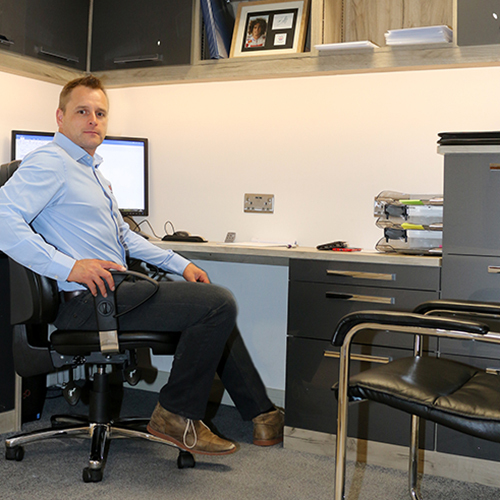 Additionally, I am usually on hand in the showroom, my office area is a working example of our Home Office range of products. There has been plenty of interest in our office Designs since it was installed. Woodrobes now offers a 12 months 0% finance package, which helps some of our customers. It’s working well and we hope to see a significant increase in the number of customers utilising this service. We have a constant stream of new colours, styles, glass finishes and acrylics being added to the range by manufacturers. We now have an increased manufacturing capacity which will have an effect on our ability to supply and fit more quickly once an order is placed. The most noticeable change is the addition of a new vehicle to our fleet. The new Vito is highly visible and displays many of our recent fitted bedrooms. The Woodrobes team is completed by our own in house fitters. Dave and Ken will turn dreams into reality with their skillful expertise. 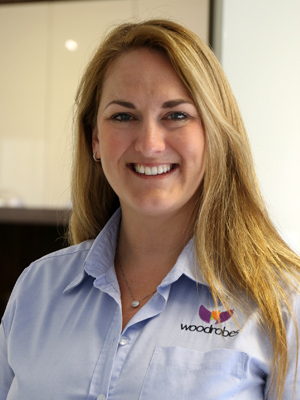 Following the successful opening of the new showroom in 2012, Woodrobes reputation for quality and service has grown extensively. We have a wide range of customers gained through word-of-mouth recommendations from happy customers who return to us again and again. Planning and design are key components to Woodrobes success. Whether the bedroom is small, medium or large, customers can rest-assured that efficient use of all available space. We ensure the design is both practical in day-to-day use but has that ‘wow’ factor that never ceases to impress. Woodrobes has a fast-growing reputation for high quality products. A visit to the Mill Street showroom in Kidderminster will leave no doubt that the company has the staff to match their reputation.